If only every Sunday were like this. Some weeks back a friend sent around an article with a proposed picnic from Yotam Ottolenghi, everyone's favorite flavorfully inventive, London-based, pan-Mediterranean chef. His selections were, actually, rather odd for a picnic--saucy meatballs? Ice cream? But the underlying concept, we agreed, was sound. Thus was hatched a plan to devise a picnic menu of our own, drawing on his cookbooks and articles. Today, the plan was put into action. My bits were the carmelized garlic tart from Plenty, and some savory fennel cumin cookies called ka'ach. 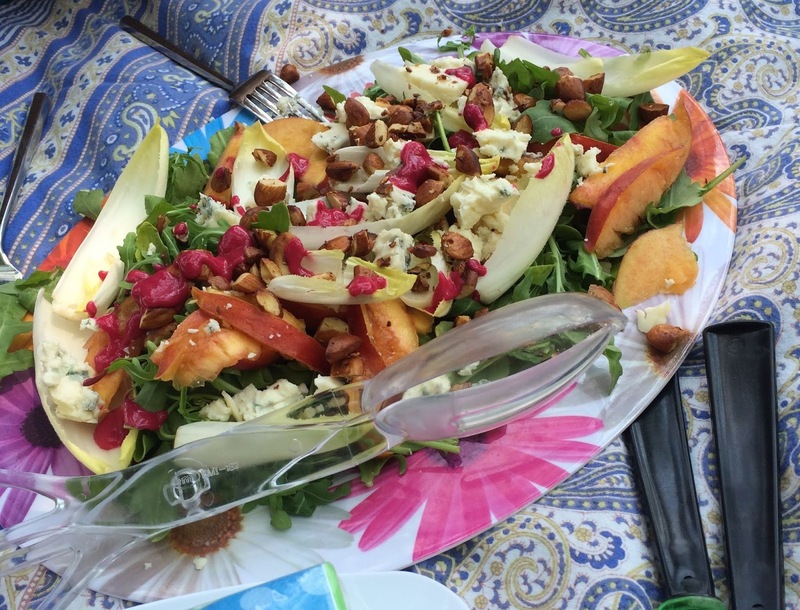 The other components included an arugula-and-endive salad with nectarines and gorgonzola and the most amazing, technicolor magenta, honey-mustard dressing, thanks to beets. 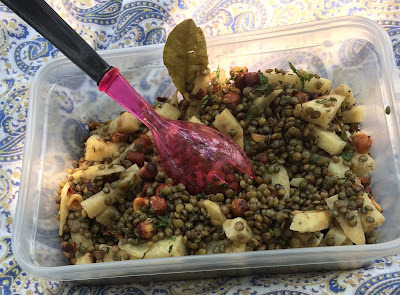 And a very fine lentil and celeriac salad with mint and hazelnuts. 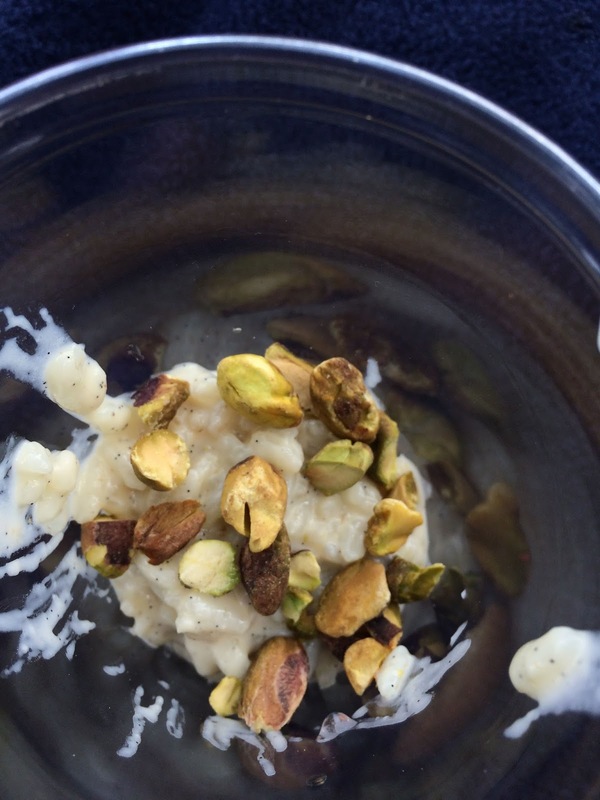 And we rounded everything out with a lovely, light rice pudding, featuring rosewater and pistachios and some intense vanilla bean. A nice summer's day on a shady hill in Central Park, with the best food being served in the whole of the park (if I do say so), and good company all of whom are good cooks! Can't wait for the next one.